It’s hard enough to feel confident in a bathing suit without the added stress of worrying about embarrassing shaving bumps or stray bikini hairs. The clinique of plastic surgery medspa has the answer. We offer a laser version of the full brazilian bikini wax. Our bikini line pubic hair removal procedure is one of our most sought after hair removal procedures. This area is one of the easiest and fastest to treat. Most of these laser procedures can be completed in just 10 minutes. Usually following your second treatment, shaving will be a thing of the past. Our laser specialists can remove as little or as much hair as you wish, while paying particular attention to your comfort. Thus, hair removal is virtually painless. Procedures vary from the full Brazilian to the trendy designs, personalized in the bikini area. Brazilian, Bikini or Back laser hair removal is the fastest most effective way to get rid of unwanted hair and give you a body you will be happy to bare at the beach! Most patients are looking for a permanent solution to hair removal. At Clinique, we offer the GentleMax Alexandrite Laser by Candela which is the most effective for hair removal and can treat most skin types. Our GentleYag laser allows us to treat darker skin types as well. With Laser Hair Removal, pulses of coherent laser light are directed onto the skin and absorbed by the hair follicles. Q: Will The Hair Removal Treatments Hurt? A: Candela Laser Systems use a short pulse width that delivers energy to the skin over a very short period of time. To make the laser painless, the laser is preceded by a cooling spray of cryogens. This makes the laser pulses comfortable. You may experience a feeling similar to that of a rubber band being snapped on the skin, but most people do not report this sensation to be painful. Q: Are There Any Adverse Reactions To Treatment? A: You may experience temporary redness and a mild “sunburn” like effect that may last a few hours to a few days. A: The number of treatments varies depending on the person, the body part being treated, and how much of the hair is in the active phase of growth. A better estimation is given after a consultation with our Clinique staff. Q: Why Select The Clinique Of Plastic Surgery Over A Non-Medical Establishment? A: We are board certified plastic surgeons with medical licenses and we guarantee our results. Moreover, we are skin specialists and offer every conceivable treatment for skin care. Also, because lasers do affect the skin, it is important to know what lasers to use based on your skin/hair types and what treatments to avoid based on what you cannot see…what’s below the skin. Q: Can I Finance My Hair Removal? A: Yes, certainly. 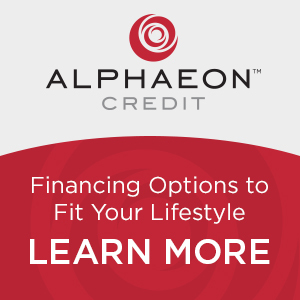 We have several financing options. Please talk to one of our patient coordinator to obtain details.